The Museum of Man ponders a name change, a step forward for the Chicano Park Museum and more in our weekly digest of the region’s arts and culture news. Not everyone who steps into the limelight unexpectedly knows what to do next. But through creativity and innovation, a North County couple turned what could have been a blip – a quick, few good years of fame – into a solid dance career that might last a lifetime. 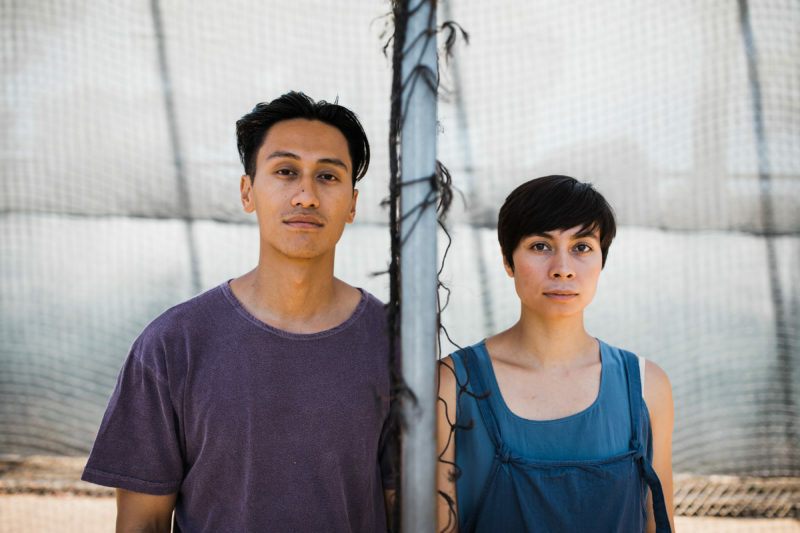 Keone and Mari Madrid started by posting dance videos online, years ago before most dancers even knew about YouTube. Their videos went viral. Their unique style of urban choreography quickly earned them some big-time gigs. But rather than ride the wave of fame until it washed away, they wrote a list of goals on a wall inside their home. Their overarching aim is to create more stable opportunities for dancers and choreographers to make a living. This spring, the Madrids released a first-of-its-kind multimedia dance ebook. “Ruth” is doing well and even spent some time at the top of the charts on Apple iBooks and Google Play. And now they’re gearing up to launch a new dance app. They say the app will serve as a digital space for other dancers and choreographers to make money off original dance videos and other multimedia content. They’re also set to open an ambitious new immersive dance show in San Diego this fall. They’re hoping the 10-week run of the show, “Beyond Babel,” gets extended due to high ticket demand. If the show is successful, they have plans to extend their short-term lease on the building on Imperial Avenue and eventually turn it into a new arts venue that could host more dance and experimental theatrical shows. The San Diego Museum of Man wants a new name, one that “better reflects our values of inclusivity, equity and love,” it said in a newsletter. Last week, the museum launched a survey asking folks to weigh in on a list of new names, including The Museum of Humankind, The Human Experience, The Museum of Many and The We. I posted the news on Facebook and, now that it’s collected more than 100 comments, it looks like none of the pre-selected names are very popular. Lots of folks had suggestions of their own names, from the serious – like Museum of the Anthropocene, Museum of Shared Heritage, Museum of World Experience and The AnthroPop – to the silly – the Stuffy Old Bone Repository or Museum McMuseumFace. What do you think the museum’s new name should be? Email me your suggestions. 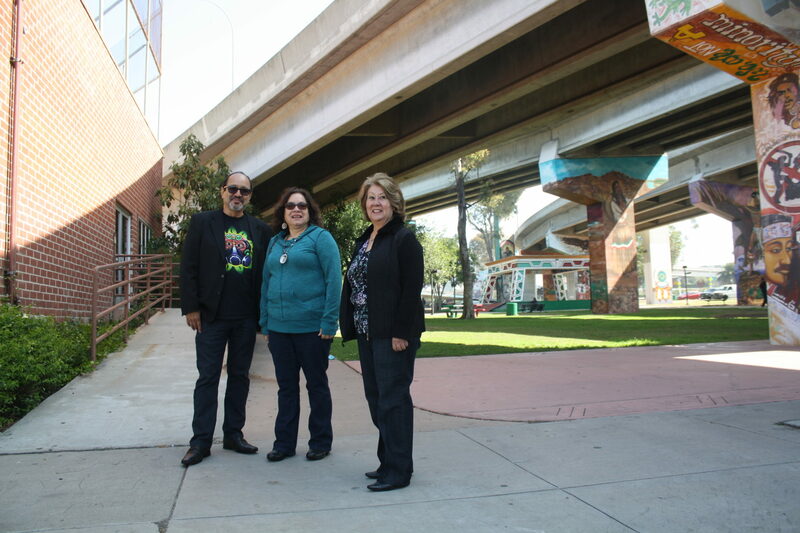 • A San Diego committee last week paved the way for the Chicano Park Museum and Cultural Center with a 20-year lease, reports the Times of San Diego. The plan now goes to the full City Council. Some of the people working to open the museum talked about their efforts on this podcast episode, and I wrote about it here. • The axe-throwing trend has officially hit San Diego, and really there’s no one better to describe the experience than CityBeat columnist Ryan Bradford, who just won the Herbert Lockwood “Woody” Award for Humor Writing from the local chapter of the Society of Professional Journalists. • East Village is getting more colorful. 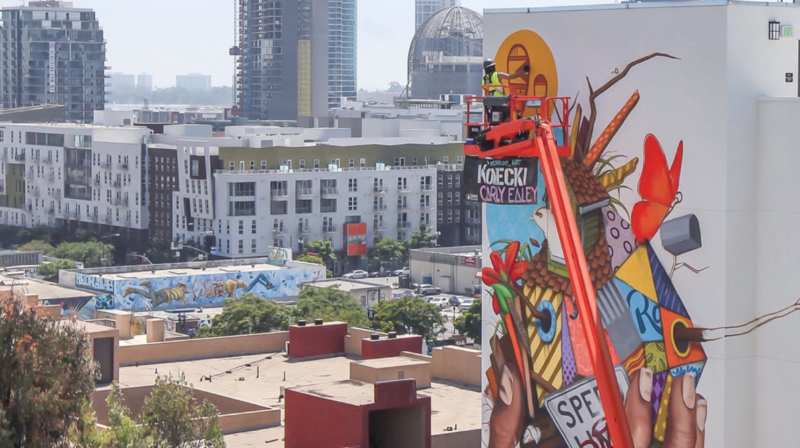 San Diego artists Christopher Konecki and Carly Ealey are working on a huge mural on the new “Broadstone Makers Quarter” building. ICYMI: While the quickly gentrifying East Village will have lots of new public art, actual artists who used to live in the neighborhood can no longer afford it. • A church presented plans earlier this month to turn a long-dormant movie theater into a performance art center that would sometimes be used for religious programming. Some people like the idea, others don’t, reports The Coast News Group. • San Diego Opera and the San Diego State School of Music and Dance have tapped Alan E. Hicks as the first-ever director of opera theatre, a new shared position between the two organizations. • The NTC Foundation, which oversees the development and operation of 26 city buildings at Arts District Liberty Station, is in the middle of its effort to “further transform the monochromatic, rigid former military base into a creative space that better reflects the growing arts and cultural destination” by commissioning the creation of six new public artworks. This month, Tijuana artist Hugo Crosthwaite is creating new site-specific, outdoor murals set to be finished by early October. Catch up on my reporting on the NTC Foundation’s efforts and some of the challenges the nonprofit’s faced building an arts district inside old military buildings here. • The Union-Tribune sat down for a Q-and-A with Michael Mizerany, artistic director of Compulsion Dance & Theatre. • Dalouge Smith recently moved on from the San Diego Youth Symphony and Conservatory. KPBS featured him in its “First Person” series. Smith earned respect in the local arts community for his efforts to make music education affordable and accessible to more children. • Thirty-six peopled died in the 2016 Ghost Ship Fire that raged through an unpermitted performance space in Oakland, leading cities to crack down on similar art spaces operating without permits and fire-safety requirements. Some Barrio Logan arts spaces have been closed in the wake of the fire, and now CityBeat reports on another venue recently cited for operating without proper permits that is hoping to raise money so it can continue to host art and music shows. • California Ballet has new leaders and a new season. 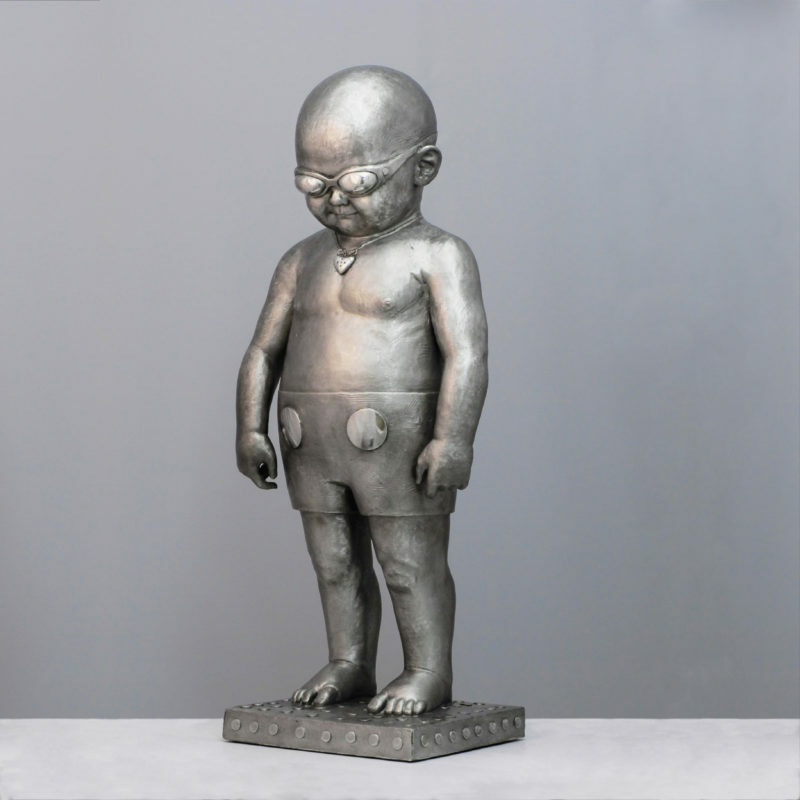 • It’s fun to watch Richard Becker work on his sculptures via social media. The end result is always impeccable, and I can’t wait to see it in person when his solo show at Sparks Gallery opens Saturday (RSVPs are required). • I’m a big fan of sincere efforts by art organizations to be more inclusive and reach more diverse audiences. Aug. 3-5, the San Diego Repertory Theatre and Amigos del REP will stage their second annual Latinx New Play Festival at the Lyceum Space Theatre. The plays in the lineup take on some timely topics. 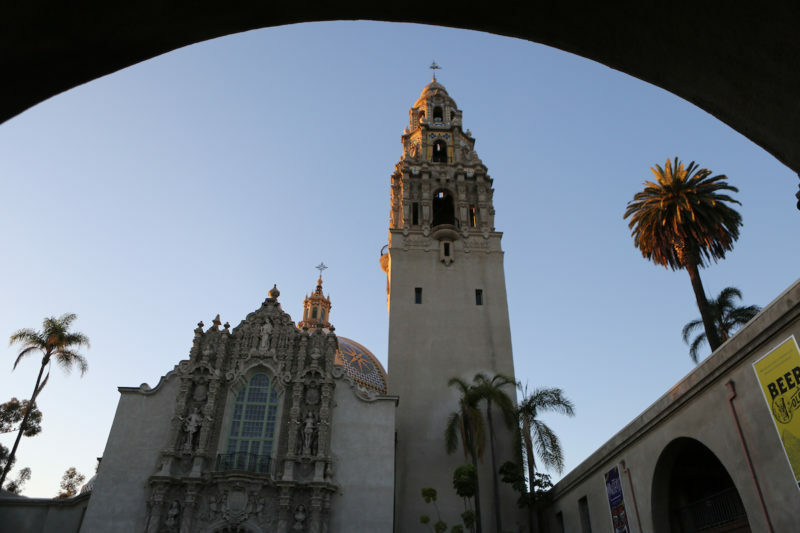 • The Museum of Photographic Arts in Balboa Park is celebrating 35 years with a party Thursday night at which people can bring their own photos to pin to the museum walls. Bonus: hard kombucha will be served. 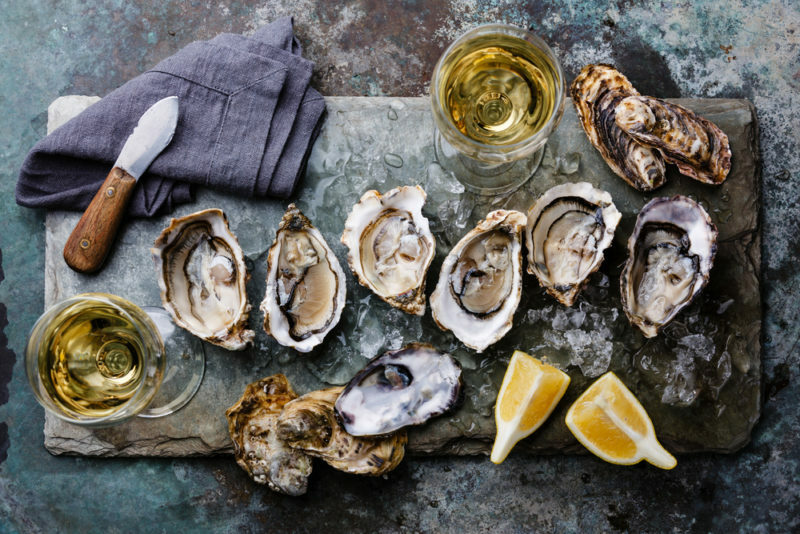 • Apparently, Aug. 5 is National Oyster Day. The Union-Tribune rounded up restaurants ready to celebrate. Kinsee Morlan is engagement editor at Voice of San Diego. Email her at kinsee@vosd.org with arts and culture news and tips, or submit your question about San Diego arts and culture here. Want to recommend the Culture Report to someone? Share this sign-up link. Subscribe to Voice of San Diego podcasts.